The Newington Athletic Department and the Athletic Leadership Council would like to invite all the fans, parents, players, and coaches to support the 2018 Coaches vs Cancer events. The goal of the initiative is to unite the Newington community, along with the other communities we compete against, to raise awareness and support for cancer research and the remarkable strides we are making in the fight against cancer. 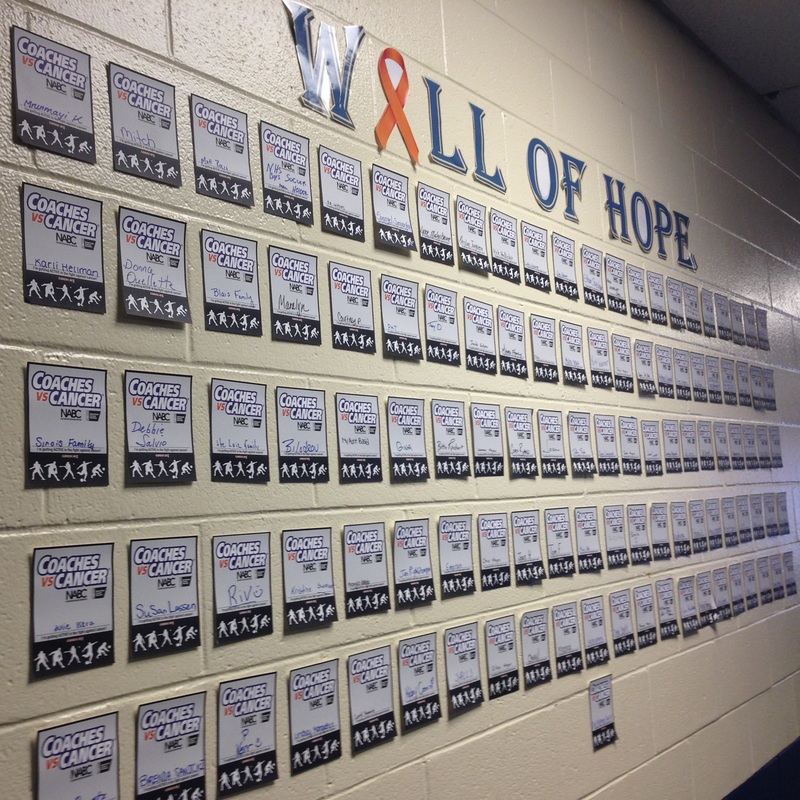 Last year over $1,400 was collected throughout the events, which was donated to the American Cancer Society. Once again the Athletic Leadership Council members will lead the charge and are dedicated to making this year's program a success.Thank you in advance for your commitment to making a world with less cancer and more birthdays!